The answer to the above question will be stated in the following parts of this post, and we shall discuss how to sign out of iCloud without losing data. Part 1: If I Sign Out of iCloud on My iPhone Will I Lose Everything? Deleting the data in your mobile device. Keeping the data in your mobile device. Your choice will not affect the data stored on the iCloud server but can affect the data in your iOS device. Furthermore, Apple services like iCloud Mail or iCloud Drive won’t be available to you. Therefore, signing out of iCloud deregisters your iOS device from Apple servers, and halts the synchronization of data between your iOS device and Apple servers. More so, all the data stored in iCloud will remain intact, and iCloud would continue to sync data on other devices that share that same iCloud account. Step 1. 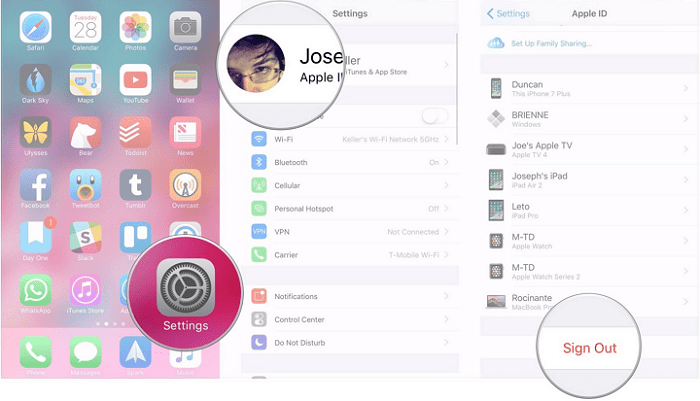 Go to iPhone’s Home screen and launch the Settings app. Step 2. Click [Your Name] on top of the page. Step 3. Scroll down to find the option “Sign Out” and click it. Step 4. Before signing out of the iCloud account on your iPhone, if you’ve activated Find My iPhone, the first pop up will request that enter your Apple ID password to turn it off. Step 5. Enter your Apple ID password and then click on “Turn Off”. Step 6. Turn on the switch of the data you would like to keep on your device. Step 7. Double click ‘Sign Out” to confirm your request. There is no way you can manage to sign out of iCloud account from iPhone’s Settings app without providing the Apple ID password to the device. 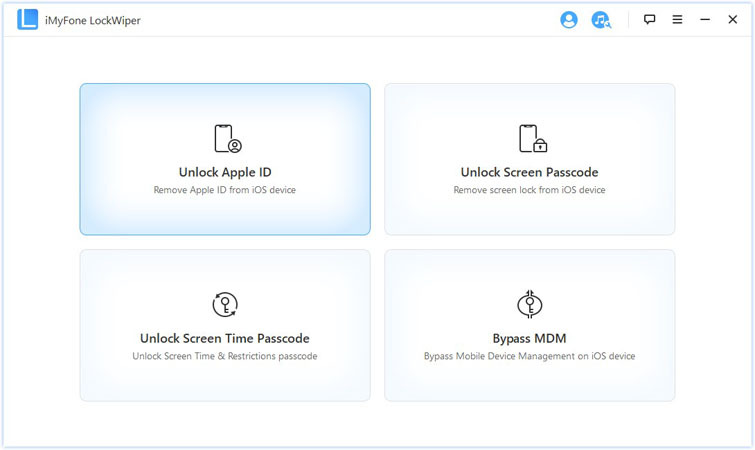 However, a third-party tool called iMyFone LockWiper can help you sign out of the iCloud account without the Apple ID password. The iMyFone LockWiper is your best assistance if you forgot your Apple ID password. 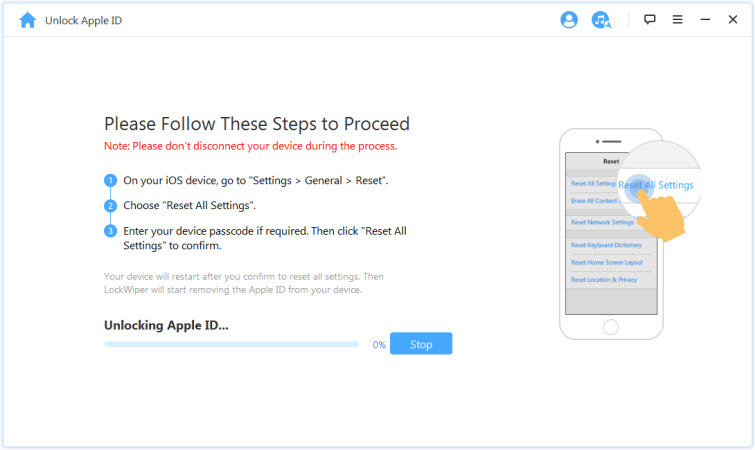 This tool can also assist you when you buy a secondhand iPhone to remove or change the Apple ID or iCloud account you inherited from the previous owner of the iOS device. It removes the iCloud account in few minutes, easily, and after the removal, the previous owner of the device won’t be able to track the device or lock it anymore. LockWiper will remove the Apple ID or iCloud account in your iPhone without you providing the password. LockWiper will create a chance for you to create a brand new Apple ID and password on the device, or add an existing iCloud account to the device. You will complete this task with no stress and within 5 minutes. 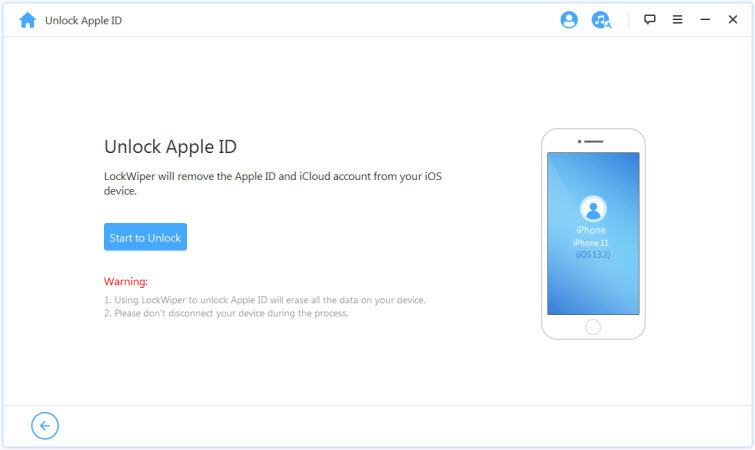 Your iPhone will not be tracked or blocked by the previous owner after using LockWiper to remove the iCloud account. You will be able to enjoy all Apple services and features on the iOS device. Step 1. Go to https://www.imyfone.com and search for LockWiper. Download and install the software, then connect your iPhone to your Mac or Windows PC, and launch the software. Step 2. From the software's interface, select the “Unlock Apple ID” mode. Step 3. Click the "Start to Unlock" button to remove the iCloud account (Apple ID) without a password. If your Find My iPhone option is still on, please click “Settings > General > Reset> Reset All Settings” then the software will start to remove the old iCloud account. 2. You should endeavor to back up your important files such as contacts, photos, emails, notes, etc.